What will the future of scientific impact look like? We’ll begin to see when dirt starts flying in February on the $1 billion Phil and Penny Knight Campus for Accelerating Scientific Impact. 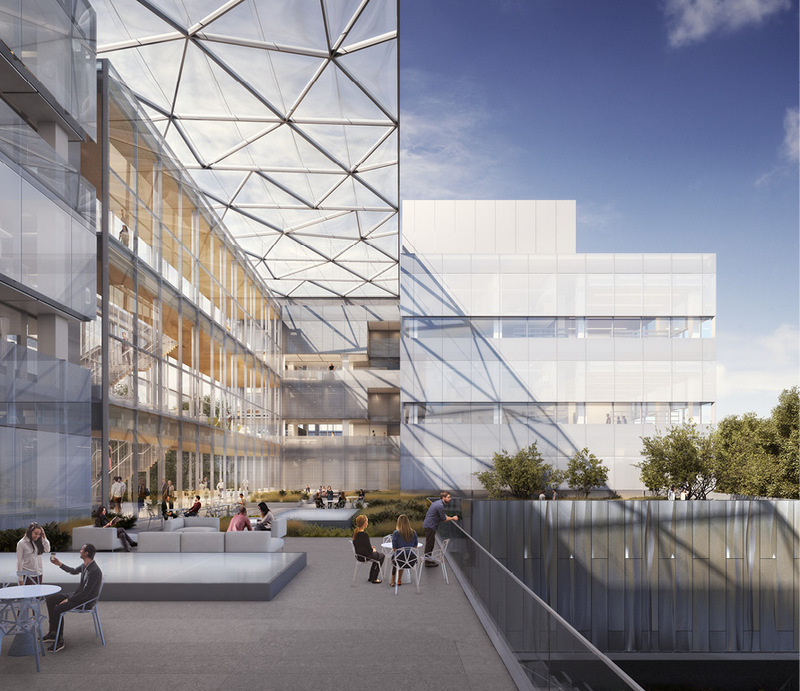 The research complex opening in 2020 will fast-track discoveries into innovations that improve the quality of life in Oregon, the nation, and the world. The campus will house a new generation of researchers—such as bioengineers, computational scientists, and immunologists—who work across disciplines while working closely with entrepreneurs and industry. During the inaugural phase of a 10-year endeavor, the first of the campus’ glass-and-steel buildings will rise on the north side of Franklin Boulevard, just north of the main campus. 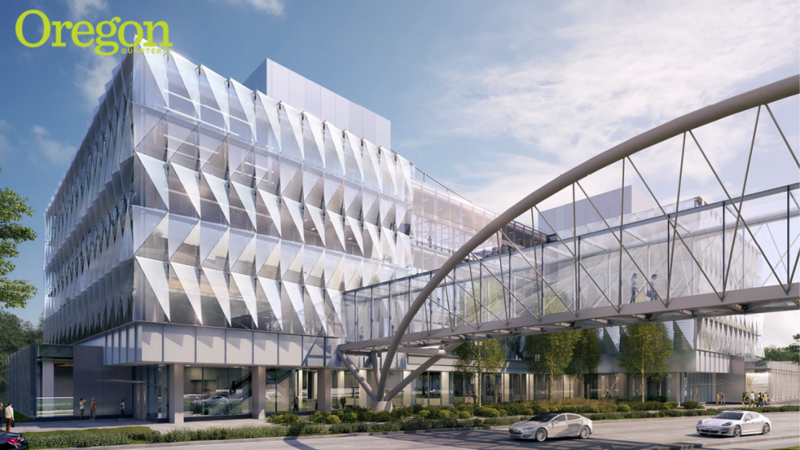 A sky bridge over the boulevard will connect the initial 160,000-square-foot project to existing research facilities in the Lorry I. Lokey Science Complex. The project will beautify, modernize, and ultimately transform a section of the Eugene millrace. “It’s rare for a design to mean as much to an entire community as it does to the people who use it every day,” says John O’Toole, the architect overseeing the project for the design team of Portland-based Bora and NYC-based ENNEAD architectural firms. "The Knight Campus represents so much more than buildings. It symbolizes the future of research, of a university, and of a state." A mechanical engineer well-versed in medical research and entrepreneurship will lead the Phil and Penny Knight Campus for Accelerating Scientific Impact. Robert Guldberg, widely known in regenerative medicine, becomes executive director in September. Since 2009, he has headed the Parker H. Petit Institute for Bioengineering and Bioscience at the Georgia Institute of Technology. The Knight Campus goal to quickly turn discoveries into usable societal applications fits well into how Guldberg approaches science. “As I’ve advanced in my career, I have gravitated toward developing technologies that actually make their way into patients,” he says. 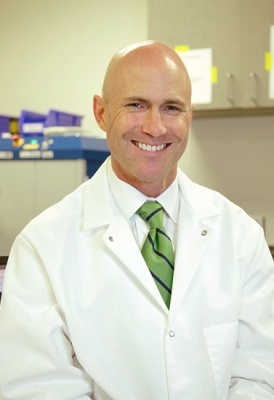 Guldberg studies muscle and bone growth and development, focusing on regenerative therapies following traumatic injuries and degenerative diseases such as osteoarthritis. With Dr. Kenton Gregory of Oregon Health & Science University, he helped establish the Armed Forces Institute for Regenerative Medicine, which seeks to restore the lives of soldiers with battlefield injuries. Guldberg also collaborates with Harvard University’s Stem Cell Institute on the business of translating regenerative medicine technologies into applications.